The Victoria + Butchart Gardens tour in Victoria should be on the bucket-list of every gardening enthusiast. 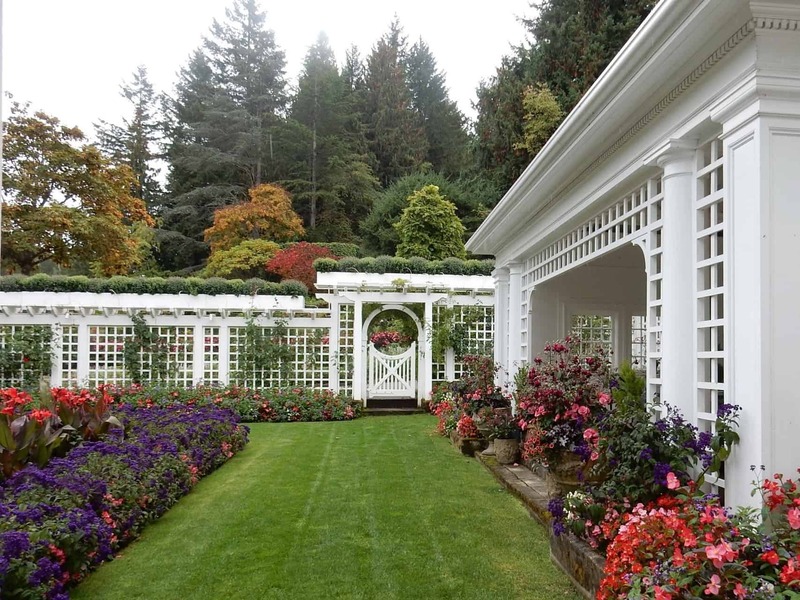 The garden spans over 22 breathtaking hectares (55 acres) of meticulously manicured beauty, and by joining our Victoria + Butchart Gardens Tour you will have to opportunity to see every bit of it. The tour begins aboard BC Ferries for a 90-minute cruise across the Georgia Strait. From the ferry we will travel to the Butchart Gardens for exploration. 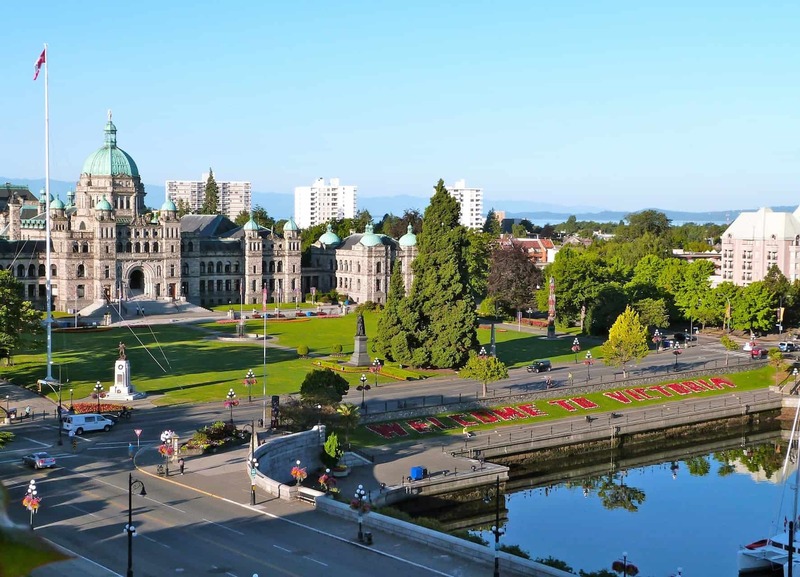 Then, off to the majestic Victoria Inner Harbour to take in the historic sights of our capital city, named after British monarch Queen Victoria. A royally spectacular day-trip you will never forget. Next stop: Adventure! Step off the bus, stretch your legs, and explore at your own pace. We've created our itinerary to give you the perfect amount of time at each unforgettable stop! Not sure where to start? Our guides are always happy to show you their favourite hidden gems! Ahh, Victoria. A beautiful, oceanside city that combines rich history, stunning natural beauty, and a wide breadth of culture that will melt your stresses away. Become aquainted with a drive through the inner city along Government Street and North America's second oldest Chinatown. Stretch your legs on the boardwalk at Victoria's Inner Harbour under the majestic Parliament Buildings and the Empress Hotel. If the timing is right you could be rewarded with one of the many festivals hosted at the Inner Harbour, or dazzled during the Christmas season by the thousands of lights that shine to celebrate the holidays. 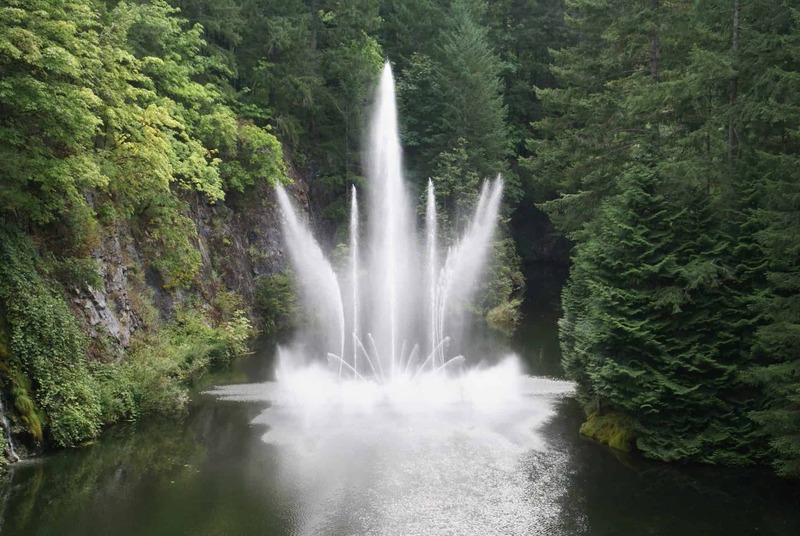 Of the many highlights of our Victoria + Burchart Gardens tour, this Vancouver Island treasure is nothing short of a true pleasure. 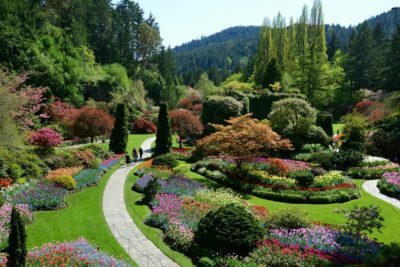 The Butchart Gardens showcases 22 breathtaking hectares (55 acres) of meticulously manicured gardens, many having been established over a century ago. 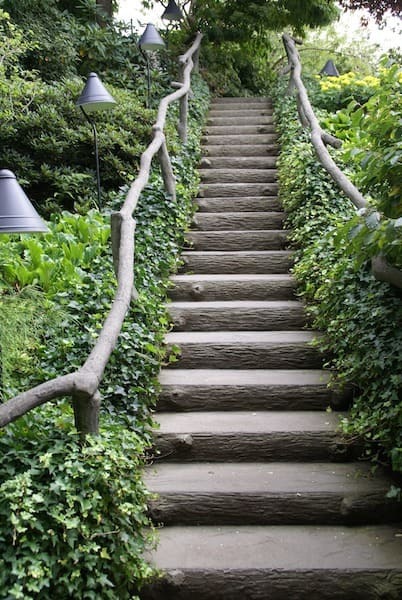 The variety is endless as you meander through the trails to the original Sunken Garden, the Japanese Garden and the prize-winning Rose Garden. From greenhouse tours and guided walks, to music festivals and afternoon tea, the Butchart Gardens are a magical experience sure to delight all of your senses. Each of our tours shine a spotlight on the region's most iconic landmarks, neighbourhoods, and culture — all with live narration from our expert guides. Don't forget your camera! Our oversized, tinted windows are designed for sightseeing so you won’t miss a thing! A floating kaleidoscope of breathtaking scenery, BC Ferries delivers 90 minutes of “wow” to and from Vancouver Island on our Victoria + Butchart Gardens tours. Take a seat and enjoy the voyage across Juan de Fuca Strait and through the Gulf Islands. Or step outside for a closer look and some fresh, salty sea air. Don’t be surprised if you see seals and maybe even a private porpoise or whale show. Onboard amenities include a self-serve restaurant and kid’s entertainment area. Prices include attraction admission and taxes. 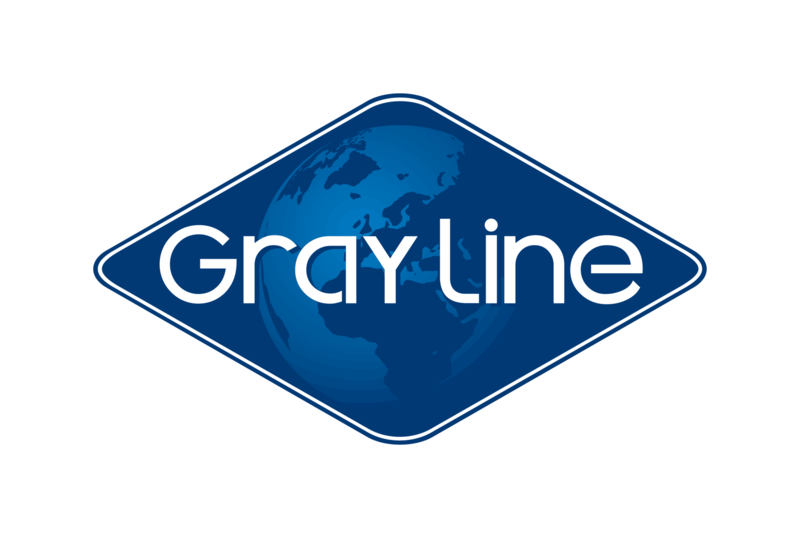 Gratuity is optional and is not included in the price. If you feel our staff have gone above and beyond your expectations, gratuity will be greatly appreciated. How much time will we spend at Butchart Gardens? You will have approximately 1.5-2 hours of free time in the Butchart Gardens depending on the departure time, with the 8:30 departure offering the most time at the gardens. How much free time will we have in Victoria? Depending on the season, during the Spring and Summer tour guest will have approximately 2-2.5 hours of free time. During the Winter season, guests will have approximately 1.5 hours of free time in Victoria. What can I do during my free time in Victoria? Enjoy the quaint charm of the shops, cafes, restaurants, and galleries that fill Victoria’s Inner Harbour. 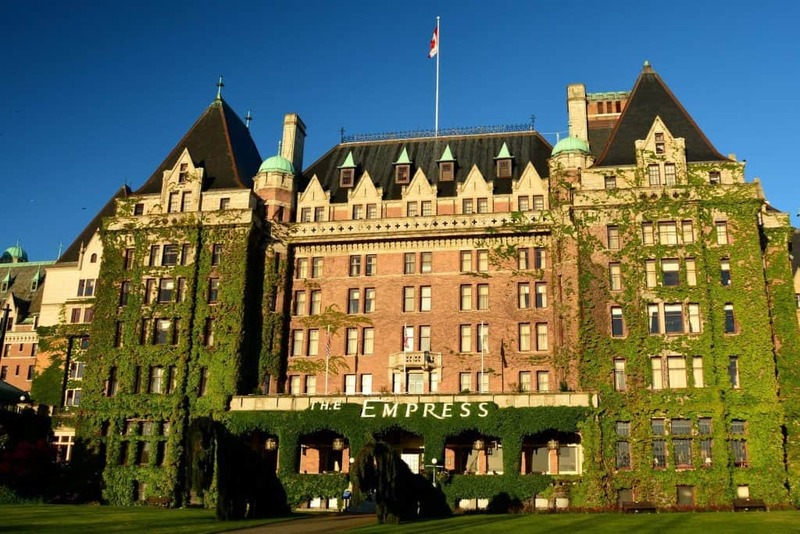 Sip a festive afternoon tea at the historic Fairmont Empress Hotel or explore the spectacular provincial parliament buildings. Ask your Guide for recommendations to help you create your perfect day in Victoria. What can I see at the Victoria Inner Harbour? 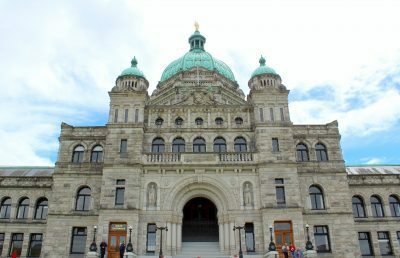 Explore the BC Parliament buildings, the wall of Provincial Shields and Coats of Armor, the historic Fairmont Empress Hotel, the Royal BC Museum, or simply watch the incoming ships! When is the best time to see the Gardens? Each season has its own charm! From flowering bulbs and shrubs in the Spring and Summer to the red and gold maples in the Autumn. In the Winter, you’ll find snowdrops, witch hazel and even an indoor garden! Are the Butchart Gardens wheelchair accessible? How long will we spend on BC Ferries? 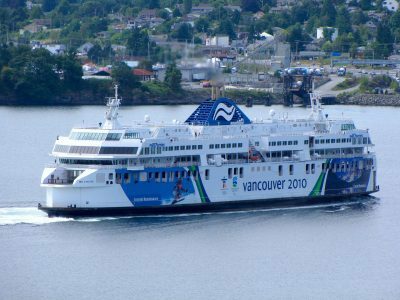 It takes about 90 minutes on the BC Ferries to reach Vancouver Island from the Tsawwassen Ferry Terminal. Onboard amenities include a self-serve restaurant, kid’s entertainment area and washrooms. Is there food on the ferry? Yes, you can purchase food at the onboard café and full buffet. Wear comfortable walking shoes and dress appropriately for the weather depending on the season. Check the weather prior to arrival into Vancouver. Bring an umbrella or rain jacket just in case of inclement weather. Are the tours canceled if it rains? Absolutely not! Vancouver is well-known for its rainy weather and our tours run rain or shine. Don’t forget to bring along an umbrella!